Chevron Philippines Inc. (CPI), marketer of Caltex fuels and lubricants, recently announced that it will make a significant investment in Davao City’s workforce of tomorrow or today’s students from public senior high schools. CPI also encouraged other businesses to do so all over the country. This was revealed by CPI Country Chairman Peter Morris during the launch of Caltex Fuel Your School (FYS) in a Caltex station in Bajada, Davao City. “From June 1 to June 30, 2016, for every 1-liter purchase of Caltex with Techron or sale of Delo Sports diesel engine oil at participating Caltex stations in Davao City, we will donate one peso (P1) to support qualified classroom projects in STEM subjects,” announced Morris. CPI is allocating P3 million for the purchase of better classroom facilities and advanced learning materials for students in Davao City’s highest-need senior public highs schools taking the Science, Technology, Engineering and Mathematics (STEM) track of the K-12 education. The fuel-to-donate campaign is well timed, given the entry this year of the country’s first Grade 11 public school students. The multi-awarded Caltex FYS PH is launched in partnership with the Department of Education (DepEd) and the American Chamber Foundation Philippines (ACFP) with the support of American Chambers of the Philippines-Mindanao Chapter. The partners hope to boost to improve learning by equipping less privileged public senior high schools with quality learning materials. The DepEd Region XI office has selected the highest-need public senior high schools in the city to participate in the campaign. ACFP will screen the proposed projects based on a set of criteria (to know more about the criteria, visit Caltex Facebook page), with the resulting shortlisted schools’ projects to be posted on the Caltex FYS Facebook page for voting. Each qualified entry can receive up to a maximum of P100,000 worth of classroom materials, wherein projects with the most number of votes get funded first. ACFP will use the P3 million grant to procure equipment for the qualified STEM classroom projects. 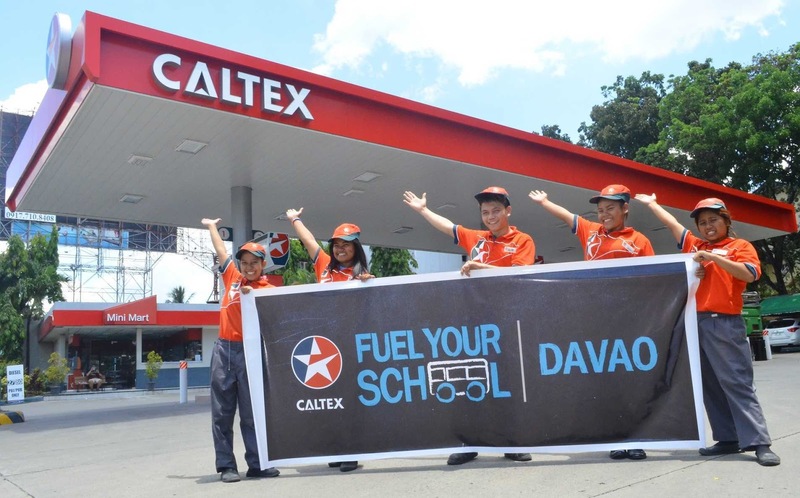 It is said that Caltex Fuel Your School’s vision is not just to modernize education in the Philippines, but also to empower the teachers and equip the students with high quality and advanced learning, making them career-ready as they step out of school. 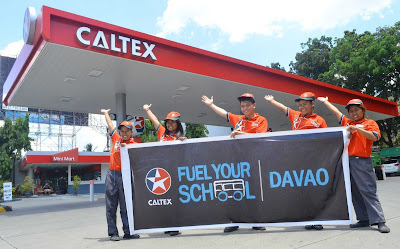 By involving different partners such as educators, Caltex retailers and lubricant accounts as well as Davao motorists, Caltex Fuel Your School models the idea of ‘it takes a village to raise a child’.